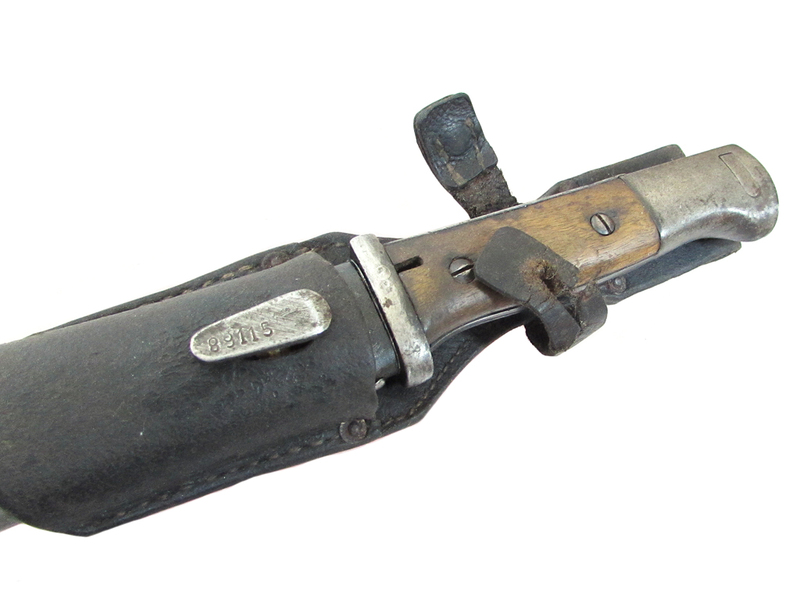 A fine early war German WWII K98 bayonet made by Hörster. 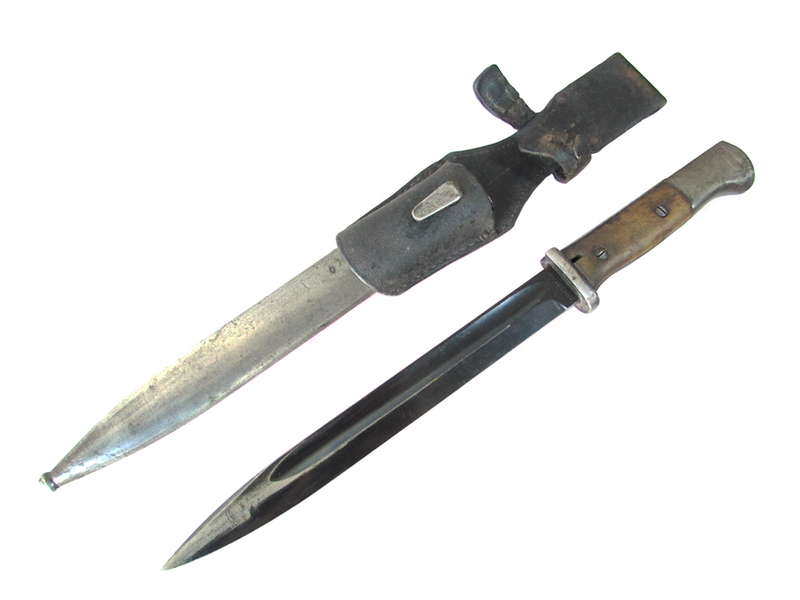 The bayonet has a good pair of undamaged wooden handles and the steel blade is sharp with a fine original blue and clearly stamped with the maker name Hörster. 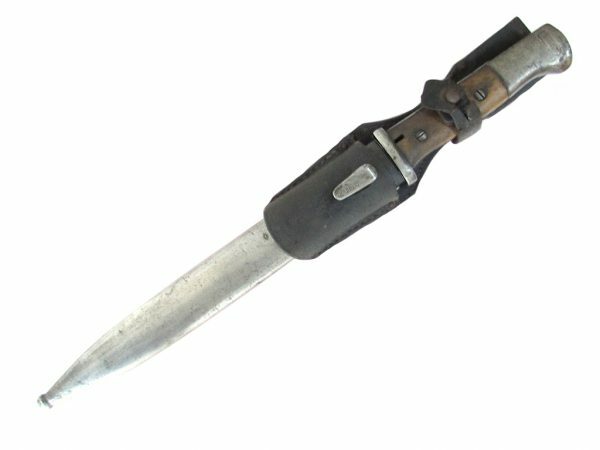 The German K98 bayonet was introduced in 1934 with mass production beginning in 1936. 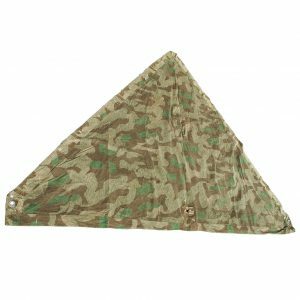 The design was taken from the S84/98 bayonet of 1915 and was standard issue to every EM / NCO to be worn suspended from the belt by means of a leather frog. 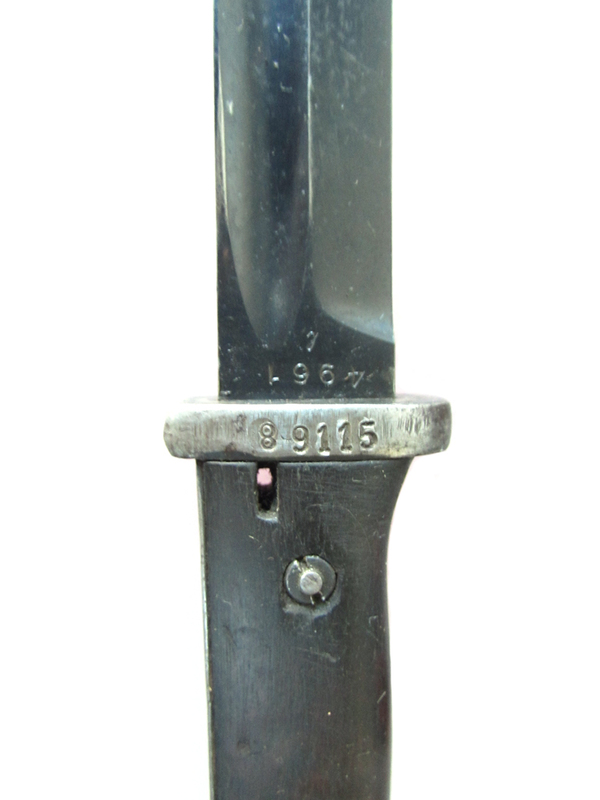 This is a good solid example of an early war German WWII K98 bayonet. 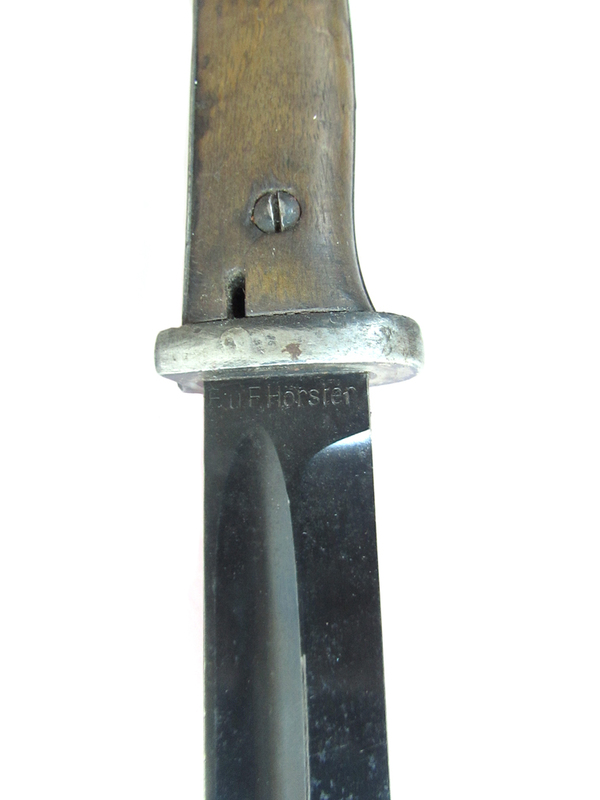 The bayonet has a good pair of undamaged wooden handles and the steel blade is sharp with a fine original blue and clearly stamped with the maker name Hörster. 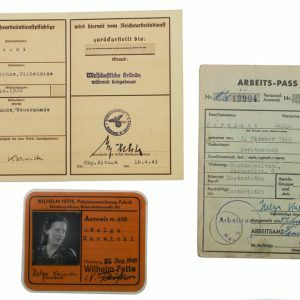 A matching period German serial number has been re-stamped to both the bayonet and scabbard. 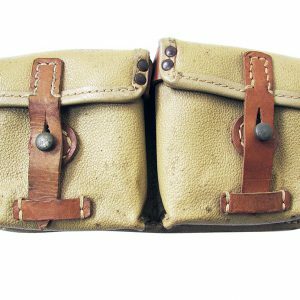 The leather frog is in good condition, with a split in the closing strap preventing fastening. 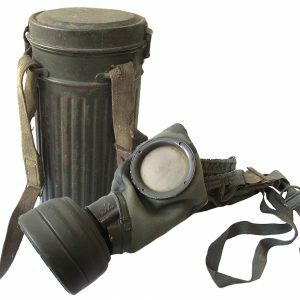 However the for is still fully functional and unaffected. 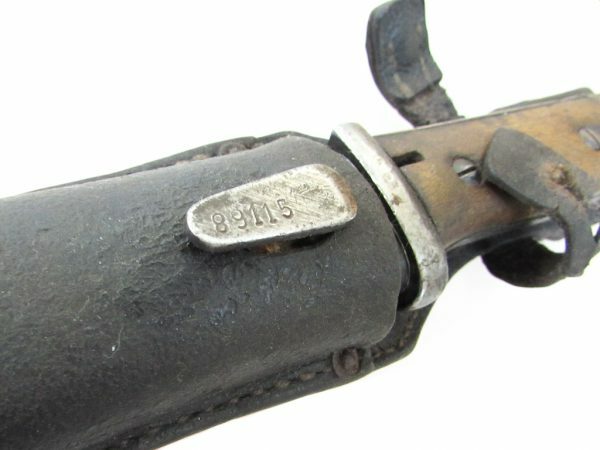 The bayonet, scabbard and frog are a nice sleep, recently out of a French collection as left behind from the German occupation in France.